I still have this phone and the battery lasts still 1-2 weeks depending on the usage. I love it! buying a new battery can be a problem, i agree! but, even with a few years of use, my mx7 still having almost the same battery power as before. still AMAZING! i only charge it every 10 days! only its size and weight is to much! All Panasonics from SA,VS 2 to MX,SA,VS 7 are days before yesterday. You can't buy eb-bs002 1620mAh now. 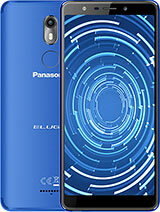 panasonic still does phones, but....only in japan! !such a pity, i agree! and this MX7 battery life....WOW! Such a pity. Never had a problem with Panasonics. Excellent mobile phones all round. Good call quality guaranteed unlike Nokia..... lousy call quality guaranteed. Very much a pity they stop making them. I still use my GD92 and GD75. I just can't handle the terrible call quality of these gimmicky nokia phones today. i still have mine and still use it, and...still AMAZING!! great pictures i take with it!! one of the best phones i ever had!! i will keep it forever!! great battery life, and great screen! the display is terrific! 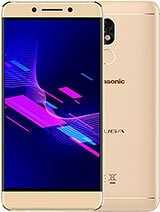 does panasonic still produce cellphones in Japan? Please give me an answer. 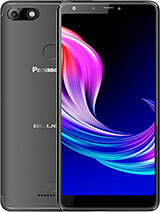 i don't know why panasonic doesn't produce cellphones in my country? Panasonic, 11 Oct 2006Greate phone! 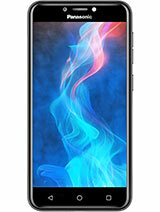 Finally a phone that looks like a phone!We need more of these male phones! I'm t... moreDon't make yourself tired kid ! 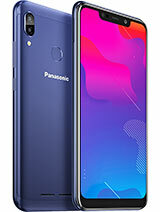 Entering panasonic with Nokia and SE in comparison?!! Are you kidding ? cool as! my dad is gonna get me 1 lol. i reckon its good it has a bluetooth!! GO PANASONIC!!!!!!!! PANASONIC RULES!!!! -Will have less noise comparing to slightly noisy (in low light conditions only) but otherwise perfect TZ1! Does the file transfer limit apply to data cable transfers as well as I'll consider using this method once I get this phone.If the limit applies to data cable transfers as well then I see no point.If the limit doesn't apply to data cable transfers then that'll be useful for me. I look forward to hearing your results on this. MX7 music problem require help please! media folder/stored sounds/.mmf format 15kb or less. i use data cable to download music (mp3 converted to wave) stored in new folder in media, size is 320kb go to play or use as ring tone and mss says "content to large" its just a normal song ive downloaded, ive tried about 5 songs and all wont play so cant use as ring tone, what am i doing wrong? or can some one please direct me, thanks. very frustrated mx7 owner. Well, the rumour is right. It can't transfer a file over 1MB. But, I still love it ^^"
is it true about the rumour that we can only transfer less than 1MB via bluetooth and usb?? 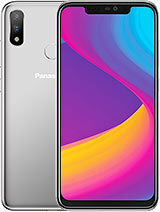 Total of 153 user reviews and opinions for Panasonic MX7.